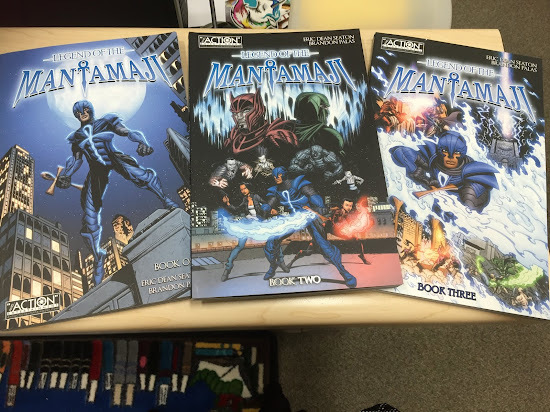 As promised, if you want to win one of the three Eric Dean Seaton's LEGEND OF THE MANTAMAJI, PLEASE make sure you answer ALL questions, including your name, grade and teacher (NGT). Without NGT, I don't know who wins the book and I will selected the next winner! Also, you must be 12 yrs or older to win this book! Don't miss out because you didn't follow directions...oh and ABSOLUTELY NO CHEATING!! Yes, I can figure out if you've cheated...kiddos! Here's a short (film) hot from the Legend of Mantamaji website! Loading... Here's an interview with the AWESOME Mr. Seaton! 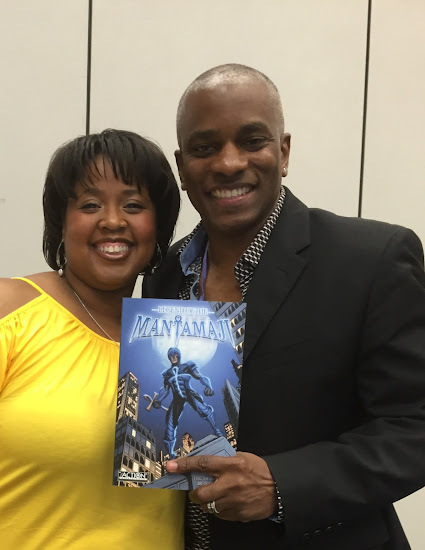 And, yes, I met Mr. Seaton at the Texas Library Association's Annual Conference this year!